How do I deactivate a sub account? 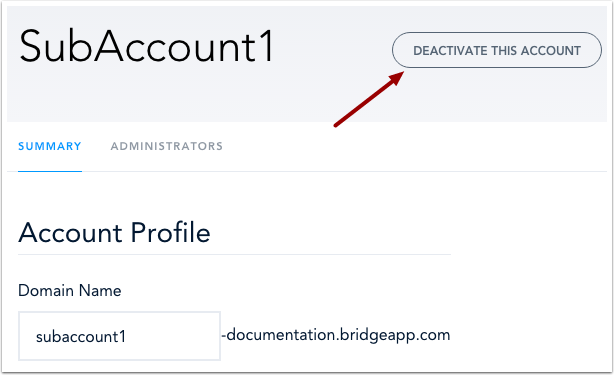 You can deactivate a sub account within the Manage Sub Accounts page in Bridge. Deactivating a sub account is a permanent action and cannot be reversed. Click the name of the account. Click the Deactivate This Account button. Note: Users who are active in the sub account at the time of deactivation will remain in the deactivated sub account and cannot be added to another sub account. 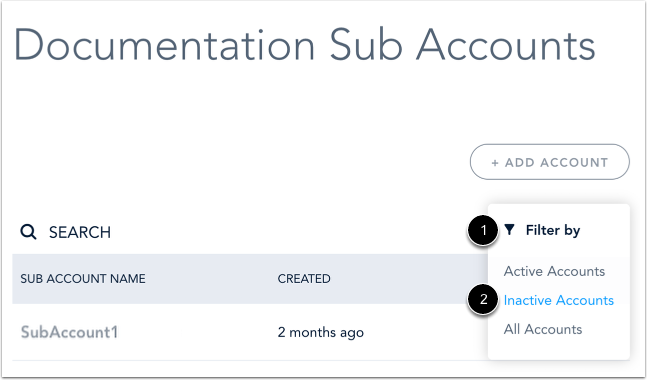 The deactivated sub account's name will be shown in gray in the Manage Sub Accounts page. To view a list of only the deactivated sub accounts, click the Filter By menu  and select the Inactive Accounts option . Previous Topic:How do I switch to a sub account? Next Topic:How do I manage account settings in my account? 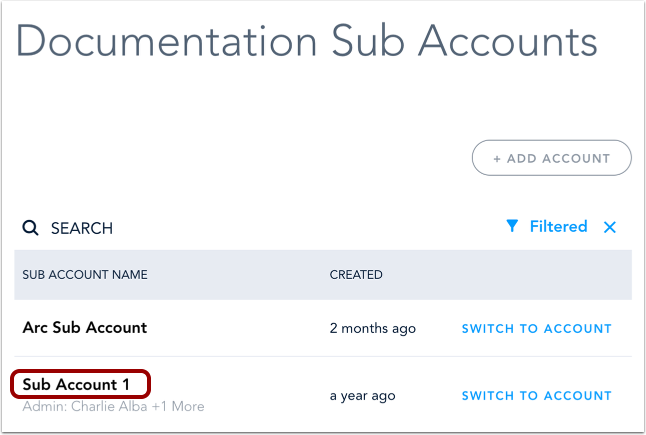 Table of Contents > Manage Account Settings > How do I deactivate a sub account?